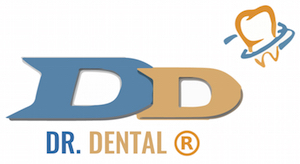 Dr. Dental®'s Mission: Saving Lives through Dentistry. Dr. Dental®'s Vision: No one suffers or dies from a disease or condition that could have been prevented. No one suffers or dies from a disease or condition that could have been prevented. To bring Patient-Centered Care involving the whole body in relation to oral systemic 'good' health into wherever dentistry is practiced, Valuing Knowledge, Integrity, Community®. Patient-Centered Care, at Dr. Dental® we have a solid standard and commitment of placing the patient first in every decision. Knowledge, to Doctor Dental®, means commitment to the oral-to-systemic connection resulting in the best treatment plan for overall health. Integrity, to Dr. Dental®, means utilizing Valuing Knowledge, Integrity, Community® in every aspect of dentistry; it means following a genuine moral compass. Community, Doctor Dental® helps communities in need and helps patients achieve general dental care for overall health so that life for many can go back to days of being healthier and feeling better. In addition to dentist services, since 1979, Dr Dental® also offers telephone consulting services for Dr Dental® patients from NH practice. No prescriptions will ever be given. Read terms and conditions in Registration form before paying consult fee. Please select the red button below to register for a consult. Enter your Registration's confirmation code, your age, (area code) with phone number and explain your dental concern in the form below to contact me. If facing an Emergency, Do NOT Proceed; Immediately call 911. If this is NOT an emergency and you are looking for Direction or Consult, By Registering for Consult, via Online Registration, I am in Receipt of Advance Notice of Acceptance of Our Mutual Electronic Signatures to commitment Electronic Contract Signature that you understand and fully accept our following Cancellation and Refund Policy and FULLY UNDERSTAND THERE IS NO REPLACEMENT FOR FACE-TO-FACE HEALTH CARE PROVIDER. By Proceeding I am in Agreement that this is a Stipend Courtesy Consult for up to 30 Minutes of Conversation with a Dentist.